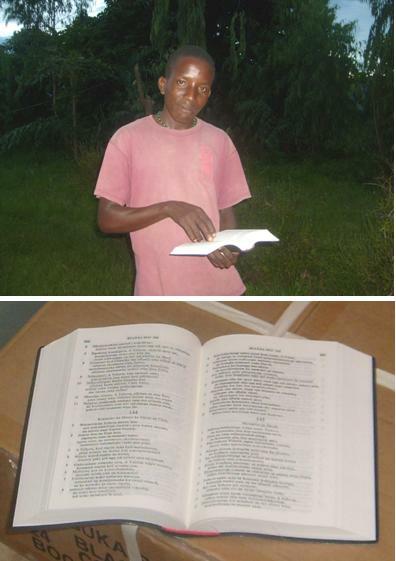 A number of Tambuka Bibles were recently sourced and funded. These were given to various people in Northern Malawi. One was received by a Sunday School teacher who, the next day, was able to read a Bible story to the young people in the Sunday School for the first time in the local language. Tambuka is spoken only in the north of Malawi and parts of Zimbabwe. A number of the Bibles will be going with the General Secretary of Livingstonia Synod (Rev Levi Nyondo) on a pastoral visit to Zimbabwe shortly.. The Harare congregation is linked with Malawi. We pray that God will use these Bibles among the people of Malawi and Zimbabwe.